I love how popular adventure games have come to be again. I grew up playing games such as Full Throttle and Discworld and somewhere along the line the genre became all but lost in the sea of the ever growing gaming industry. 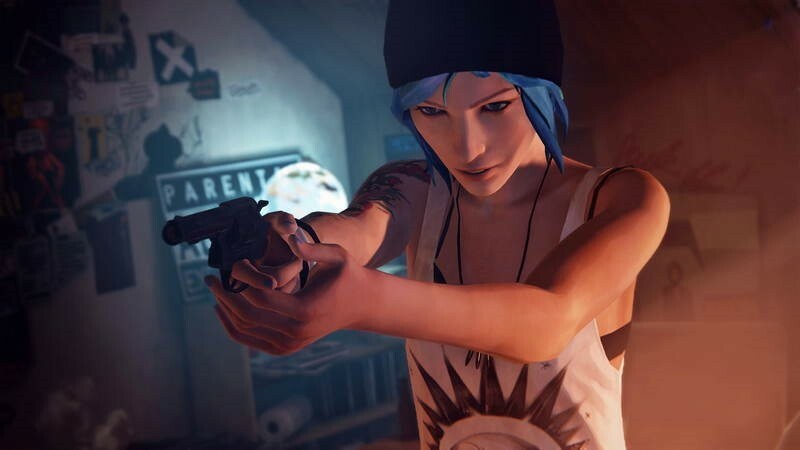 Thankfully, the resurgence in popularity has led to the rejuvenation of the genre and in recent years we’ve been graced with many a brilliant title and now it’s developer Dontnod’s chance to enter the fray with Life is Strange, an adventure game that could best be described as a supernatural teenage drama and while that might evoke some uneasy imagery of vampires and gelled hair, I can assure you that this journey is anything but a poorly written soppy love story. The story unfolds through the eyes of a shy young girl named Max Caulfield who just returned home to the quint town of Arcadia Bay after being away for 5 years. From the onset things seems fairly normal, albeit a bit dull and a lot of what Max remembers seems to have remained the same. The school she joined is full of your usual high school archetypes. The jocks, plastics and nerds are all present and accounted for with Max being the introverted background student. Everything is extraordinarily ordinary and our main character seems content with living out her school days while pursuing her passion of photography and not sticking out. 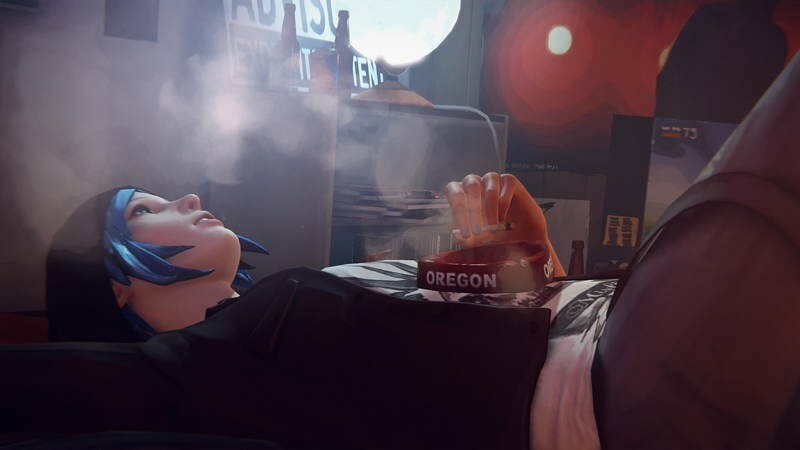 Life is Strange does a good job establishing Max as a believable and relatable character. Max beams at the sight of new cameras and her favourite photographers and these enthusiast qualities is what made it easy for me to connect with her. While Max seems like your ordinary, anxious teenager, she discovers that she’s not really the same as everyone else and everything changes when she discovers she has an unbelievable power; the power to turn back time. Max learns of this unexplainable power in a freak encounter while in the ladies room as she witnesses something horrible but through her new found powers was able stop it from happening and that is where the real adventure begins as Max uses this ability to uncover the numerous secrets hiding under the mundane facade of this town. Most characters in the game are fairly well scripted and believable which makes their interactions with Max all the more enjoyable. 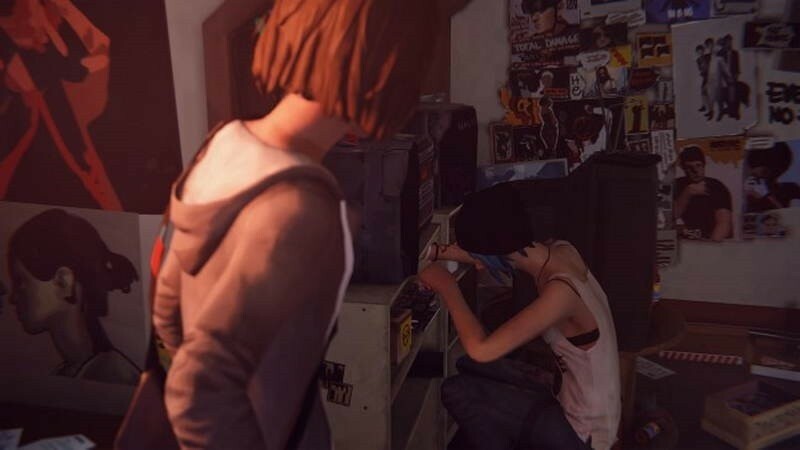 Once Max is reunited with her childhood friend, Chloe, we’re treated to some really deep and thought provoking interactions between the two that I wouldn’t want to spoil but it Chloe will play as big a role in the game as our main protagonist. Being able to control time, Max is able to see and change the outcome of conversations leading to information needed for the main story or just gaining more insight into the various characters’ lives. Though we can only rewind a certain action or interaction and not completely rewind entire sections, it’s an interesting mechanic when used in this context and the developers did a fantastic job of integrating the time reversal mechanics into this type gameplay. Max is also able to hold onto items even after rewinding time allowing her to use them in the past to solve some the game’s puzzle, though most of them are nothing overly complex but they do a well enough job of giving us a taste of what is hopefully to come in later episodes. The really interesting part of this mechanic however is manipulating the choices that will have an actual impact on the game as a whole. 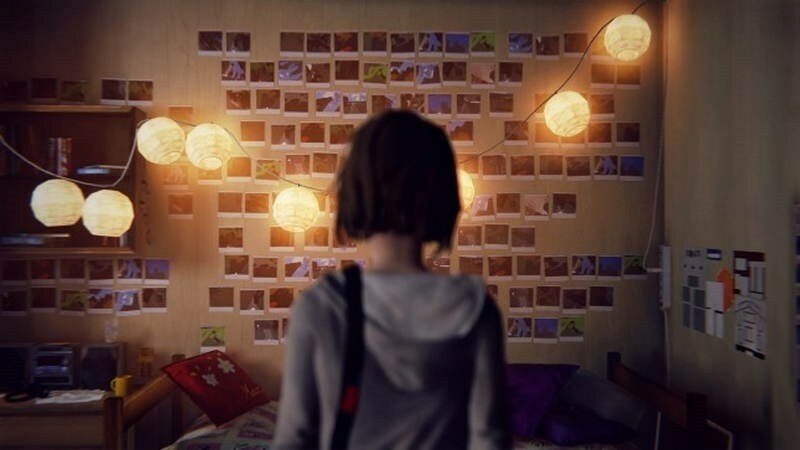 It might seem unfair to be able to rewind time to choose a different answer or action to see how it would’ve played out differently, but it is actually that freedom which enables Life is Strange’s biggest asset; mystery. For the most part, the choices you make and the actions you do are so densely shrouded in mystery and are so obscure at times that it becomes impossible to know what impact they will actually have in the future, therefore the choices you make still seem important even though you’re able to rewind time and view different immediate outcomes. The intrigue of seeing the outcomes of your choices will certainly have many gamers coming back for the rest of the season. The visuals aren’t anything technologically ground-breaking but the art style more than makes up in delivering a fully immersive world and they completely nailed the look and feel of a small coastal town. The real star however is the absolutely amazing soundtrack featured in the game. Every song and every tune fits perfectly with the tone of the game and further enhances the experience making it a treat to the ears especially when played with a pair of headphones. The voice acting is also really well done and even though some of the dialogue is cheesy at times and the lip-synching is a bit off, the actors do a great job of delivering a believable performance making the other shortcomings minor in scope. Life is Strange’s debut episode starts off strong, showing just enough of what it has to offer while cementing its characters and story firmly in its world. Though the journey only lasted 2-3 hours, it did enough during that time to make me excited for the episodes to come and it left me guessing what the consequences of my actions will be. Next article Watch this Red Band trailer for UNFINISHED BUSINESS like a boss!